The reasons to acquire skills in data science, software development, cyber security, and technology in general are plentiful. There is no shortage of reasons or ways for people and companies to tap into the vastly growing tech economy. Perhaps you are a student or professional looking to change gears and join the exciting tech workforce, or you may be teaching a younger generation of K-12 students who are ready to dive into coding. You may be an educational leader exploring new ways to increase revenue and round out your university’s technology curriculum, or an executive seeking to upskill and retain employees. It’s clear the tech economy is vast and has many avenues for people to benefit from. Yet, so are the roadblocks to enter it. If you’ve surveyed the landscape, you’ve probably come to the conclusion that traditional tech education programs are very expensive, with the average four-year computer science degree price tagged at an average of $167,968. In addition to this cost, students are required to pay for general education coursework that is irrelevant to technology and thus their career goals. This causes a long time period before students see a return on investment (ROI), i.e. the four years to graduation. This long ROI is even more brutal for students since technology is constantly evolving and often leaves recent graduates with soon to be dated skill sets. Many researchers and industry leaders have seen this negative impact and actually surveyed this landscape. A recent study from the US Department of Education revealed that 45% of public university students don’t graduate after six years and 37% of college graduates are working in jobs requiring no more than a high school diploma. 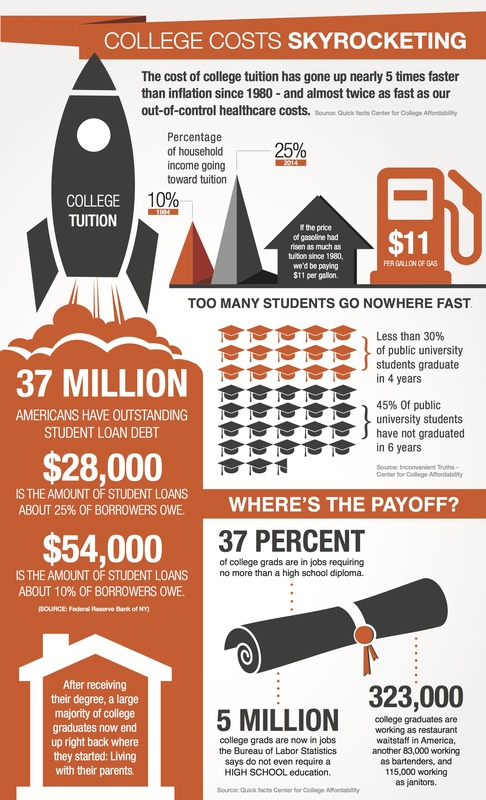 Meanwhile, the cost of higher education is soaring, resulting in graduates with tens of thousands of dollars of student loan debt and short-lived skill sets. While individuals are paying for this expensive degree, companies and technical teams within them are still struggling to find enough skilled workers to fill vacant positions. There is a rising tech-talent skill gap with some reports estimating 570,000+ more computer science positions open than graduates to fill them. This staggering number does not include the estimated two million cyber security vacancies to come by 2020 and other industry-specific numbers, according to ISACA. It’s clear that there needs to be a revolution in tech education to keep up with rising demand. The “as-a-service” concept is gaining more and more popularity among consumers due to the generally low cost, low maintenance, and scalability. Think of Netflix, Microsoft Suite, and Salesforce as some key players and examples. In a snapshot, it allows for the upkeeping and “heavy lifting” of the product to be taken off the hands of the consumer and managed by the specialized company. The benefits of “as-a-service” models are especially relevant when it comes to tech education. The Education-as-a-Service (EaaS) model offers students an alternative or supplement to more expensive four-year degree programs. In addition to servicing students, the EaaS model also helps businesses and universities, making it a revolutionary model for tech education. To fully understand its capacity, it’s important to first know what an EaaS company is comprised of. The increasingly “learner-centric” evolution of education parallels the rapid changes in technology, so the agility of the EaaS model needs to deliver customized learning opportunities for students. Imagine a cloud full of courses that can be taken by users a la carte or combined to create a whole learning path. The EaaS model enables academic institutions and businesses to utilize courses that align with their offering without having to purchase excessive learning materials that aren’t being implemented in its program. In context, learners can take a micro course to learn about creating web services or combine courses to earn a certificate in software development as a whole. The same theory goes for data science, cyber security, and other technology fields. This curriculum is the main product and is constantly updated by the EaaS company, taking the burden of research, curriculum writing, video production, and technical development and delivery off the hands of companies and universities. For individuals, it means a quick and affordable education option for learning the most up-to-date and relevant technical skills to enter the workforce. The curriculum and online delivery platform are the main tangible product additional services can be delivered to enterprises through this EaaS model. For instance, organizations can purchase customized curriculum packages to upskill incumbent employees. This provides a solution for onboarding new hires, retraining to keep up with the latest technology, and retention rates. Overall, EaaS enables students, businesses and institutions to tap into the tech economy with the overall goal of giving individuals access to tech education. Businesses can train and retain tech talent, universities can drive new lines of revenue, and individuals can learn new skills quickly and affordably. Companies across the United States are clamoring to hire more tech workers, but traditional educators aren’t providing specific enough training to meet the demand. Nine in 10 parents want their child to study computer science, but only one in four schools teach computer programming, according to the organization behind Computer Science Education Week, an annual program dedicated to inspiring K-12 students to take an interest in computer science. 51% of all Science, Technology, Engineering, and Math (STEM) jobs are projected to be in computer science-related fields, according to the White House. The federal government alone needs an additional 10,000 IT and cybersecurity professionals, and the private sector needs many more. The demand for tech talent rising across industries nationwide and the current education system is failing to produce qualified talent to fill these roles. EaaS aids to fill this gap through multiple mediums. At Woz U, customized technology courses in data science, software development, and cybersecurity are delivered to students, academic institutions, and enterprises in a custom, scalable, and affordable format to helps fill the skill gap and innovate tech education. Here’s a secret few are talking about. High tech companies including Google, Apple, and others are no longer requiring four-year college degrees for technical positions. This trend is growing as companies realize that degrees do not necessarily correlate to skills and hard workers. Instead, hiring managers are starting to value skills over degrees to get the work done. Woz U Enterprise focuses on partnerships with universities and enterprises. On the institutional level, Woz U has partnered across the United States from Bethel School of Technology in California to NJIT in New Jersey, and internationally with Cuttington University in Liberia, West Africa. The students and graduates along with the universities offering these programs have been met with great success. While universities are driving new lines of revenue and producing top tech talent, graduates are changing their career paths, landing new jobs, and have high earning potential. On the business side, Woz U has partnered with companies like Allegis Group’s Career Circle to offer active job seekers affordable and bite courses to give them a competitive technical edge. This gives learners an opportunity to learn just the skills they need for landing a new job in a quick online format. Woz U’s EaaS model designs customized technology courses in software development, cybersecurity, and data science, so students can quickly become workforce ready and graduate with less debt. “Woz for Life” offers graduates access to the latest, most up-to-date curriculum in each career path, for life, to help future-proof their careers. This vast array of programming technologies and frameworks is important for two reasons. First, students should have options when it comes to their education and be able to learn the skills relevant for their geographic area, targeted employer or career field. Second, and most importantly, every graduate of the program is gives access to Woz. For. Life. This benefit allows graduates to come back and learn new programming technologies and view updated curriculum for free, for life in their chosen career path. It’s no question that younger generations are growing up with technology and have an intuitive understanding and interest in tech. It’s up to teachers, school districts, and educational leaders to foster this interest and give access to tech education to students across the country. Woz U Education, our K-12 division, helps schools across the United States offer tech-based curriculum to students. We believe that teaching STEM in school is important to offer kids equal opportunity after high school graduation and helps develop important skill sets such as problem solving and critical thinking. Woz U Education has worked with many partners and prominent individuals, such as former NBA players Gary Payton and Steven Hunter, to bring STEM education to K-12 schools in undervalued areas in the United States. Woz U Labs provides a unique online learning experience which leverages technology to assist you in learning really challenging concepts in a way that is easiest for your personal learning style. With the demand for technology professionals continuing to grow, companies need an educational model that can grow and adapt as quickly as the tech sector. The world is on the verge of a tech revolution, and Woz U is leading the tech education revolution to support it. EaaS model is essential for individuals, schools, and companies to tap into the tech economy and benefit from technology. Learn how Woz U’s EaaS can work for your business or academic institution. For partnership opportunities email enterprise@woz-u.com. Chris Coleman is President of Woz U, Steve Wozniak’s EdTech company that transforms how individuals are educated with personalized, tech-based career training. He is leading initiatives to advance Woz U’s Education as a Service model. Previously, he was Vice President at Mindplay, an edtech company, where he led development of Virtual Reading Coach, a K-12 online learning platform for struggling readers. Virtual Reading Coach was an award-winning pioneer of adaptive learning.